A beautiful display of pure white chrysanthemums accented with anthuriums and greenery to create an elegant tribute that will help you express your true feelings in times of loss. It is a lovely way to make a memorable statement of your love. I was grieving; I did not know where I would find the perfect bouquet to honour my mother. A friend introduced me to Handy Flowers, and I am glad I chose you. 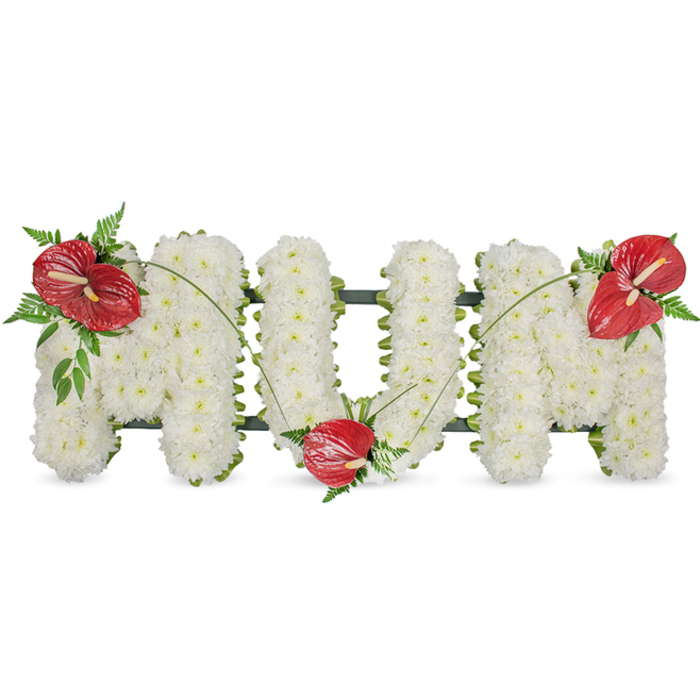 Found this website really useful especially when you need to order a beautiful tribute for a deeply loved and cherished person. Good communication with their team. I'm really grateful for your kind attitude. Ordering flowers for such sad occasion is terrible and you certainly helped me a lot. Thank you dear team!